Launch into action and adventure in the world of Star Wars! Discover exciting stories of good versus evil in a galaxy of starships and vehicles. Reserved for the most experienced scouts and high-risk missions, these Elite Speeder Bikes have been upgraded with twin blasters and powerful new engines. 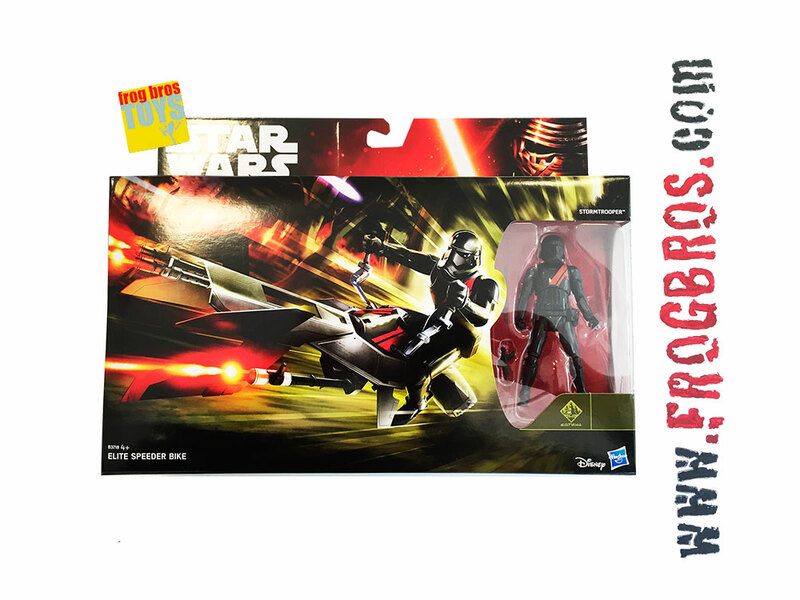 This Elite Speeder Bike vehicle comes with a special edition Stormtrooper figure and an accessory. Collect and battle with these and other figures and vehicles from Star Wars. Each sold separately. Star Wars products are produced by Hasbro under license from Lucasfilm Ltd. Hasbro and all related terms are trademarks of Hasbro.